If you’re Taiwanese American or have friends who are, you’ve certainly heard of “Love Boat”–the summer program that brings hundreds of young high school and collegiate-aged Taiwanese Americans back to Taiwan for an experience they’ll never forget. 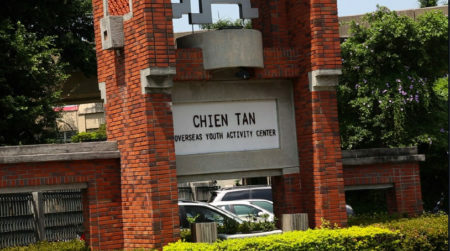 For the parents who sent their child to this six-week summer camp in the homeland, it’s an opportunity to expose their kids to Taiwan for a substantially subsidized fee. For the young Asian American participants, it’s a liberating experience discovering history, culture and heritage… and quite possibly romance. 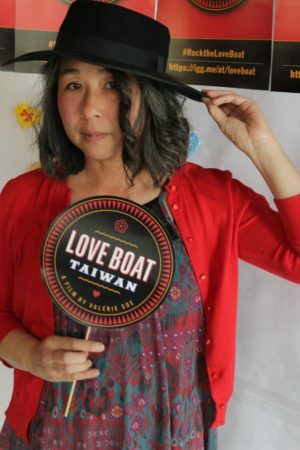 We asked San Francisco State University Asian American Studies professor and filmmaker Valerie Soe to share more about her memories attending “Love Boat.” She is currently producing a documentary about this legendary experience that has influenced the coming-of-age of so many. I’m producing and directing the upcoming documentary film Love Boat: Taiwan, which looks at the program variously known by as the Expatriate Formosa Youth Study Tour to Taiwan, the Overseas Chinese Youth Language Training and Study Tour to the Republic of China, and the Expatriate Youth Taiwan Study Tour, among other official names. The film looks into of one of the longest running summer programs in the world, which is sponsored by the Taiwanese government and which takes place every summer in Taiwan. 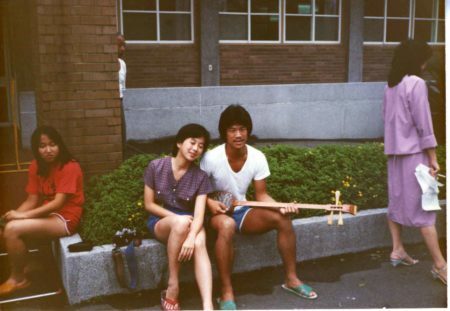 Despite its high-minded aspirations that include classes in Mandarin-language study, martial arts, and brush painting, the program’s popularity stems from another source: its reputation as an excellent place for college-aged Taiwanese Americans to hook up and find romance. Due to this, although it does not take on a ship and is landlocked at a conference center in Taipei, the program is more commonly known by its romantic nickname – the Taiwan Love Boat. The program began in 1966 with about 70 participants as an international relations tool of the Kuomintang (KMT), then the ruling party of Taiwan. 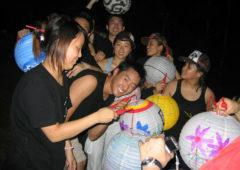 At its peak in the 1990s-2000s around 1,200 attendees participated every summer and the program has evolved into a popular summer cultural program for young Taiwanese Americans. Since its start the Love Boat has served three purposes: as a diplomatic tool for the Taiwanese government, as a place for young Taiwanese Americans to find romance, and as a means for Taiwanese American parents to insure the preservation of their bloodlines. 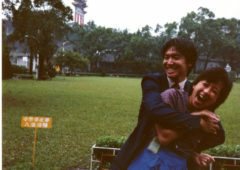 When I was an undergraduate at UCLA I attended the Taiwan Love Boat. Though I already had an interest in Asian American culture and politics, at that time I really didn’t know much about Taiwan. 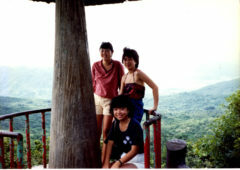 I don’t recall the details of how I signed up for the program but I found myself in Taiwan for six weeks one summer along with several hundred other diasporic Taiwanese and Chinese from the U.S., Canada, Europe, and elsewhere. We quickly fell into our daily schedule of Mandarin-language, brush painting, martial arts, and other cultural classes, followed by touring around Taipei to the National Museum, various memorials and parks, and other sites of interest. At night there was a mass exodus over the walls and into the Taipei nightlife, including clubs, night markets, restaurants, Snake Alley, and street food stands. And after a few weeks at Chien Tan we all loaded into several buses and went on our tour around the island to Hualien, Tainan, Kaoshiung, and elsewhere down south. Although my strongest memories of the experience are of friendship and romance, in its own way the Love Boat gave me with a fascination for happenings in Taiwan’s sphere, and to this day I remain interested in the relationship between the U.S., Taiwan, and the PRC. These end results suggest that the Taiwanese government’s laissez-faire attitude toward unsanctioned dancing, partying, and romancing reveals a subtle understanding of an effective way to instill partisan views in young people. Rather than crack down on the Love Boat’s wilder aspects, the Taiwanese government turns a blind eye to its libertine atmosphere because this aspect of the program attracts huge numbers of impressionable young Taiwanese Americans. By leavening its lessons in history and politics with the promise of romantic adventure, the Love Boat is an ingenious example of diplomacy and political persuasion at its best. I’m now a filmmaker and an Associate Professor in the Asian American Studies Department at San Francisco State University. I’ve been actively researching Love Boat: Taiwan for about three years and I’ll be spending this summer in Taiwan on a Fulbright Fellowship working on the movie. I’m hoping to interview the organizers and government officials who dreamed up and ran the Love Boat, the local counselors who worked on the program, and the Taiwanese American ex-pats whose summer on the Love Boat convinced them to move to Asia. I’ll also be shooting the current, scaled-down version of the Love Boat that will take place in Taiwan this summer. Many non Taiwanese Chinese were able to attend “The Love Boat”. I was one of them. Are you going to mention how the Taiwanese Government used this trip as a political propaganda program? I attended the program in 1982. There were times I felt uncomfortable being force fed films and lectures on how much superior Taiwan was and it was our future to help them recover the “motherland”. I don’t disagree that Taiwan was superior at the time in terms of technology and World recognition. This was also the period when China was opening up to the World. It’s impressive how much China has advanced since the 80’s. Other than the politics, I can’t say that I really had a fantastic time, but I met a few life long friends.